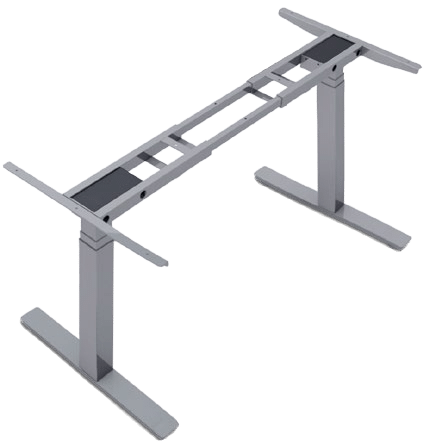 The Elevate and Elevate II are our fastest and quietest operating stand desks with smooth and precise motion. At the touch of a button move from sitting to standing position in 8 seconds. ANSI and BIFMA certification provides a basis for evaluating the safety, durability and structural performance of products intended for use in commercial office and institutional environments. The Elevate incorporates a 3-section square profile leg which allows for greater range of motion. If you plan on adding casters to to your desk this model is the ideal choice having the lowest minimum height of all our stand desks. An excellent choice for residential as well as office / commercial use with solid heavy construction that will not wobble and move as you work. 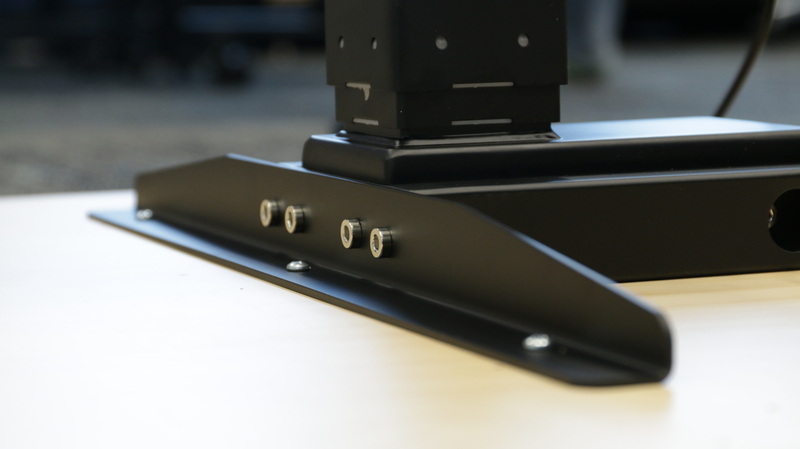 The elevate uses TiMOTION motors and controller, chosen for their superior quality and quiet, smooth movement. 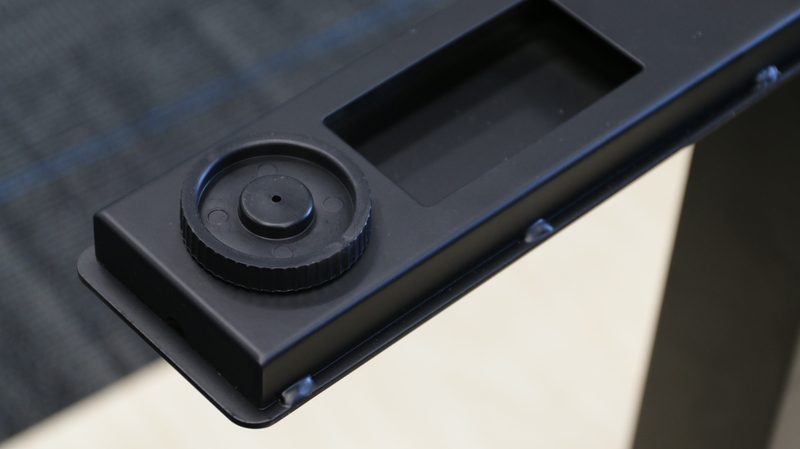 Lift Sensors – Stop the lift or descent action if the desk has excess weight on one side. LED Readout – Control panel with 4 programmable positions to save your favorite working heights. All of our stand desk frames can be customized to meet your needs. 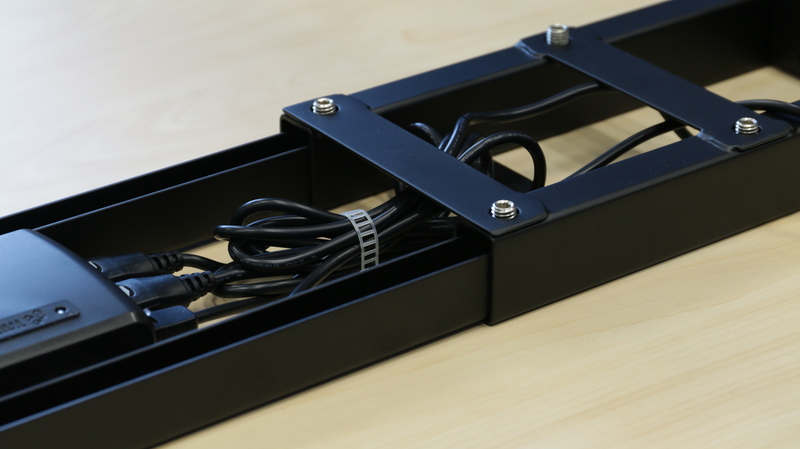 On request we can modify the frame length, supply shorter or longer feet. Contact us with your requirements. 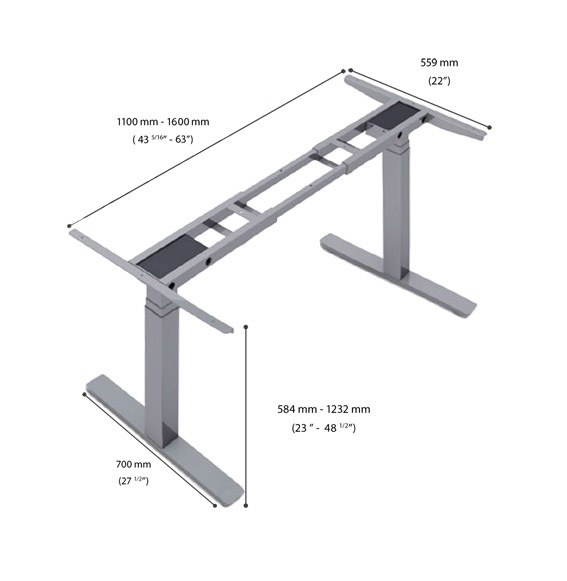 Free ground shipping on all our standing desks and standing desk conversions within Canada. In some cases a non-refundable shipping surcharge for orders shipping out to remote locations may apply. 60 Day Trial & Free Returns.